Your BMW helps you feel comfortable and self-assured. Why shouldn’t your BMW service center do the same? And if you choose BMW of Stratham for all your car’s repair and maintenance needs, you’ll be supported by a team of skilled mechanics.Drivers like you in Stratham, Portsmouth, and Exeter can rest assured that your automobile will receive the unparalleled care of BMW services. The next time you think your BMW could use some maintenance, head over to our advanced facility. We’ll have you back on the road in no time. When you’re the owner of a vehicle as aggressive and powerful as a BMW, you know how important it is to keep up with routine maintenance. Whether it’s a simple oil change, an air filter replacement, or anything else, regular checkups help ensure that your car is performing at its best. And with the assistance of a knowledgeable team with access to the industry’s most advanced tools, staying in line with your automobile’s checkups is easier than ever before. Plus, knowing that you’ve chosen a center with all the necessary equipment helps you feel secure. If you ever need a replacement made to your BMW 330i, BMW X3, or any other type of vehicle, our technicians will work with the attention to detail required to perform quality service with BMW OEM parts. That way, you can get back to tackling any highway, street, and boulevard. Just because you need stay at our facility during more extensive repairs doesn’t mean you should have to take off from work. Fortunately, we provide all customers with free Wi-Fi and private workstations so that you can stay connected to your job. You’ll also find a convenient play area for your kids and complimentary snacks to keep you satisfied. It’s this kind of dedication to our customers that’s earned the industry-leading status of our BMW service center. When you’re a busy professional, having access to a BMW service center filled with a pleasant staff goes a long way in improving your overall experience. And that’s exactly what you’ll find at our dealership. Our attentive staff is happy to guide you through every appointment so that you know exactly what to expect when your vehicle is returned to you. If you’re ever in a rush, our BMW FastService® offers a selection of procedures, such as oil changes, wiper blade replacements, and much more at a speedy pace. That way, no emergency will keep you away from all your important events. In addition, when you suddenly remember that you forgot to arrange a BMW service appointment with us, but you’re stuck at the office, don’t fret! We provide quick, online service scheduling so that you don’t have to call us during your meeting. Simply select a time and date that works for you, and we’ll follow up to confirm.  At BMW of Stratham, we strive to provide every driver in Stratham, Portsmouth, and Exeter with unwavering commitment. That devotion can be seen in every inch of our state-of-the-art facility supplied with skilled experts who will collaborate with you to understand your unique needs. So, when you’re ready to visit an innovative service center, head over to our dealership or schedule your appointment online today!